A surprising number of Pirates games were captured on video and it was a familiar sight to see a camera up on the stage gantry. Sadly, it is proving quite difficult to track these down now and, of all the items being archived, old video is proving the most fragile to work with ……. which only serves to underline the importance and urgency of getting the task done. Archiving of video means transferring from video cassette into a digital file format that will halt further deterioration. In terms of its contribution to this site, the intention is to display clips via a dedicated You-Tube channel. Online clips may be full highlights packages or brief TV clips but the archiving will preserve full game footage where it exists. Most of the earlier footage already in the archive is from TV broadcasts. Both regional ITV and BBC regularly featured short clips of Pirates during the late eighties and early nineties. During the 1990/91 season, mainstream BBC Grandstand featured extended highlights from Pirates play-off game in Durham and the semi-final and final at Wembley. Both BBC and ITV have confirmed that the “likelihood” is that most, if not all, of this footage has since been destroyed so home recorded material from this era is now of real importance to the archive. 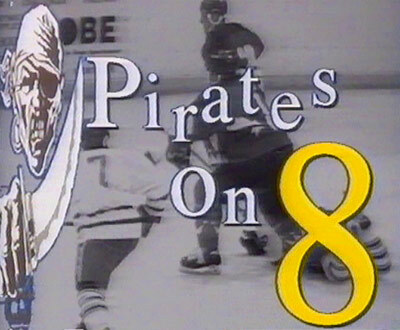 During the mid-nineties, Pirates regularly hosted film crews from the Peterborough Regional College’s media team who worked with Bell Cable Media for a brief period in order to create the short-lived Cable TV programme “Pirates On 8” which included not only game highlights but behind the scenes footage including interviews with fans. There will also be footage of Pirates in road games and efforts are being made to track these down. 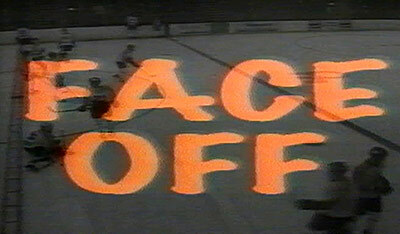 In the meantime, if you have any old video of the Pirates or know anybody who does or even might ……. please get in touch. We only need to borrow these recordings and all material will be returned if required. You can check out the footage that is in the Archive HERE and you can also find links to You-Tube footage that has been uploaded. If you subscribe to our You-Tube channel HERE then you can keep in touch with new footage as it is uploaded.